Filta Environmental Kitchen Solutions, the company that manages cooking oil for more than seventy stadiums and arenas, has announced that it will be a sponsor of the 2013 Green Sports Alliance Summit August 26-28 in New York, NY. The company well-known for environmental kitchen solutions, Filta, has announced that it will sponsor a roundtable at the coming 2013 Green Sports Alliance Summit from August 25-28 in New York, NY. 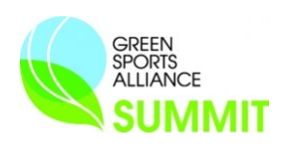 The Green Sports Alliance Summit serves as a platform for the sports community to unite around sustainability – bringing together more than 500 industry stakeholders to learn from 80+ leaders at the forefront of the sports greening movement. The 2013 program covers the day’s most critical topics in professional and collegiate sports greening via a dynamic mix of workshops, industry roundtables, leadership plenaries, keynotes, professional trainings and venue tours. Filta’s core commitment to Environmental Sustainability is what drew their interest in becoming a sponsor of this event. The Filta sponsored Solutions Roundtable: A Breath of Fresh Air for Athletes, Fans and Staff: Innovations in green cleaning on August 26th will feature a discussion around the most innovative green cleaning products, techniques, and staff engagement programs to help ensure the health of all those who visit sports venues. The roundtable will be moderated by Stephen Ashkin, Executive Director of the Green Cleaning Network. Mr. Ashkin is often thought of as “The Father of Green Cleaning”, having worked on the issue for over 20 years, formulating greener cleaning products, developing standards and legislation, and implementing green cleaning programs that reduce impacts on worker and occupant/fan health, environment and the bottom-line.